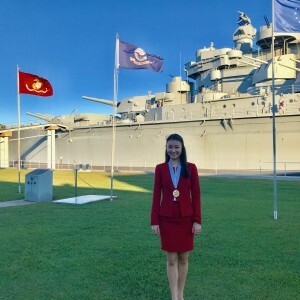 Skye Bork, Distinguished Young Woman of America 2017, was a guest of the Veteran’s Day Commission over the Veteran’s Day weekend in Mobile, AL. She arrived in the Port City and attended the Elephant’s Dinner honoring Veterans in the South Alabama area. Skye rode in the Veteran’s Day parade and attended the Honors Luncheon at Fort Whiting. 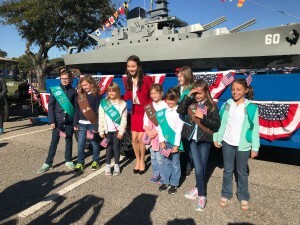 A highlight of her trip was being a part of the parade of flags at the USS Alabama Battleship. 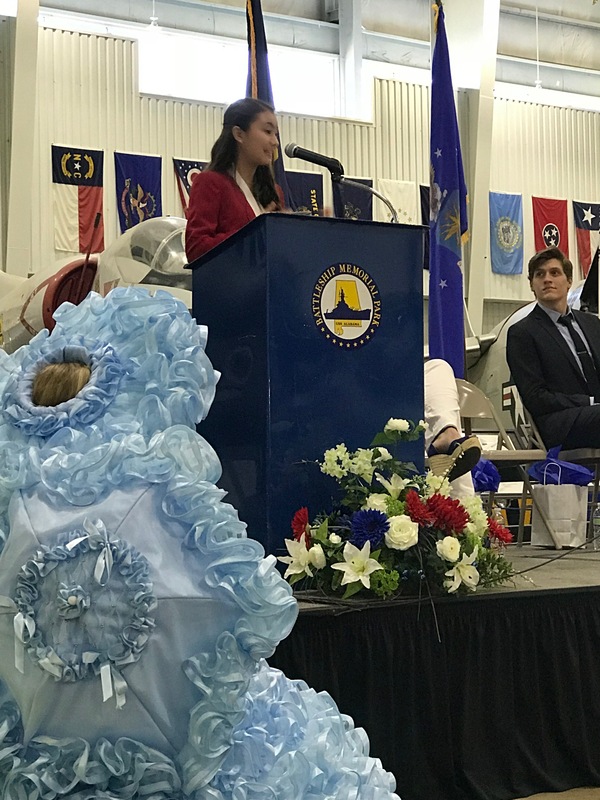 She shared the DYW Be Your Best Self program with 4th graders from all across Mobile and Baldwin Counties as the featured speaker of the event. 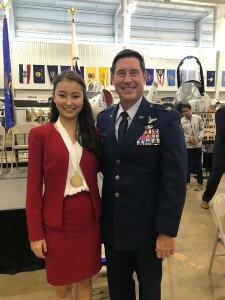 She also had the privilege of meeting veterans of all ages and military backgrounds. 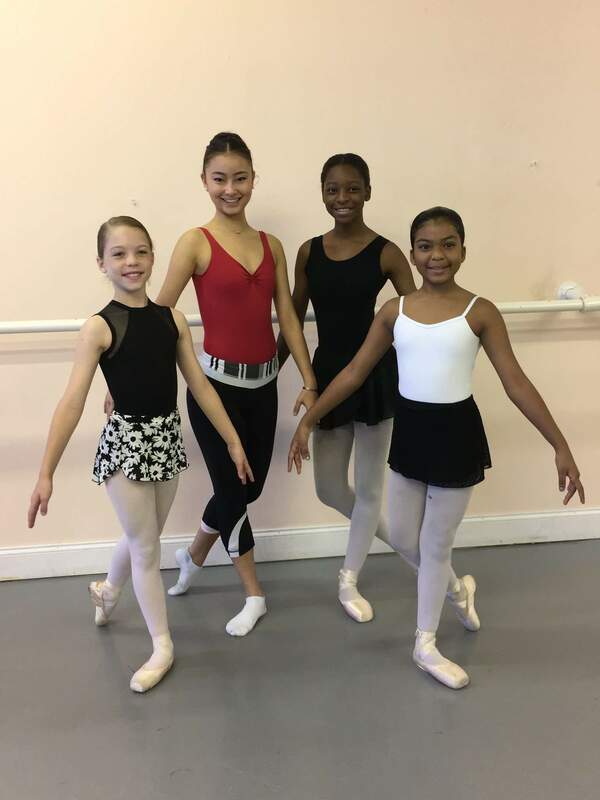 While in town, she was able to share her love of dance with students at Mobile Ballet along with visiting other former participants attending the University of South Alabama. 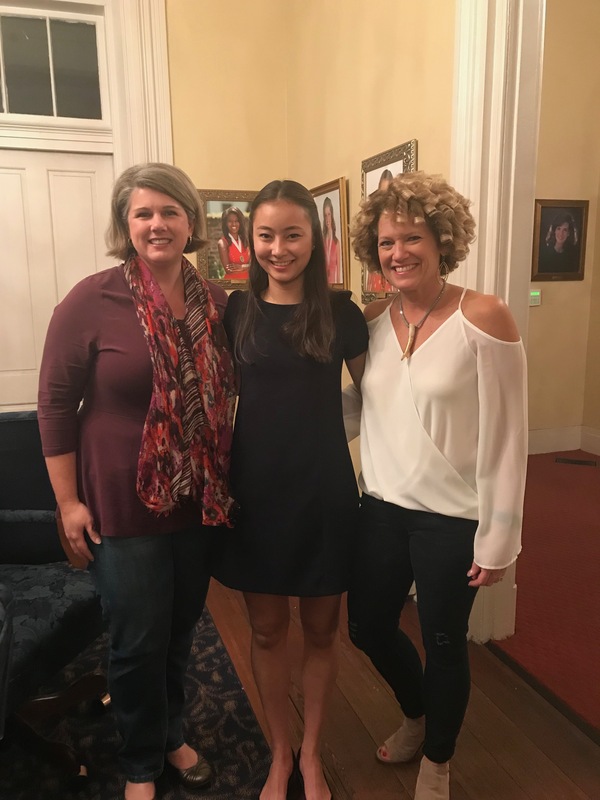 Lastly, she was the guest of a meet and greet with Distinguished Young Women’s Board of Directors and the Distinguished Alliance Board. 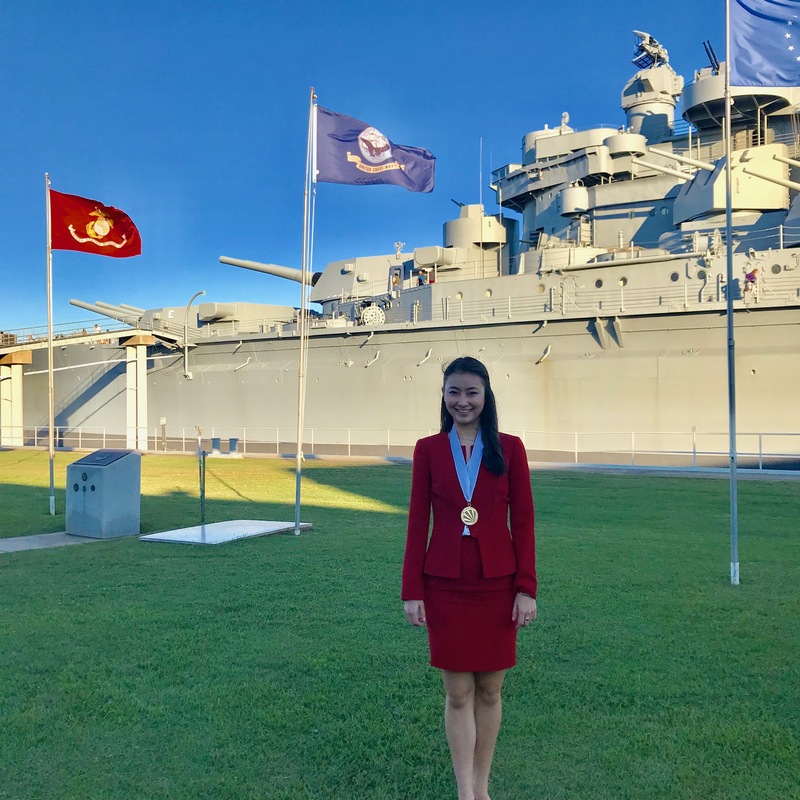 What a fun filled weekend for our National Representative! 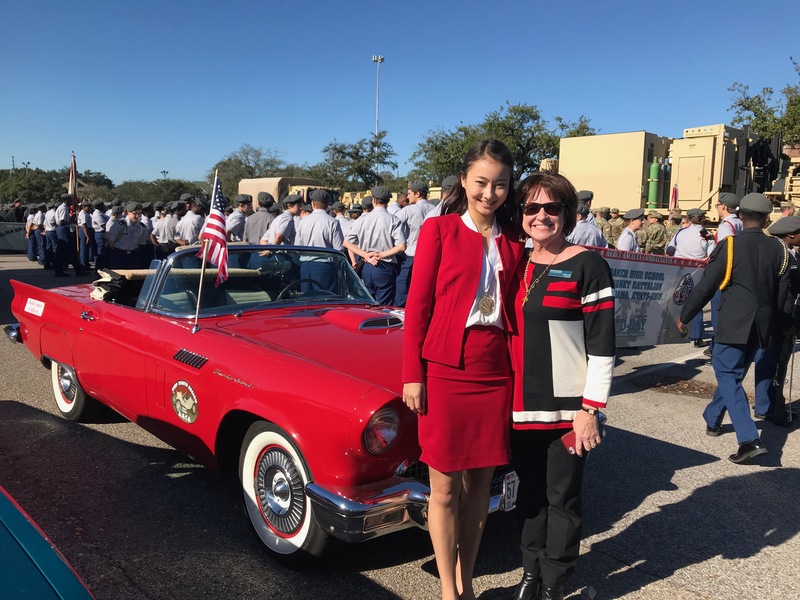 She will return to the city that’s Born to Celebrate in March for 4 days filled with appearances!